When you are trying to design AV for a worship space—or any space in your worship facility—one of the most important and historically neglected considerations is the proper projection viewing surface. Whether you’re looking for a screen for a sanctuary, Sunday school classroom, or multi-use facility, things like ambient light over the congregation, light on the screen, where people are sitting, and what kind of content being projected all need to be considered. Amy Madden (CTS, LEED-AP, MBA) is Draper’s Sales Support Manager and also our Lifts Product Manager. She wrote the following post about Draper’s Surface Selector Pro, a tool designed to help yo pick the perfect screen for you. 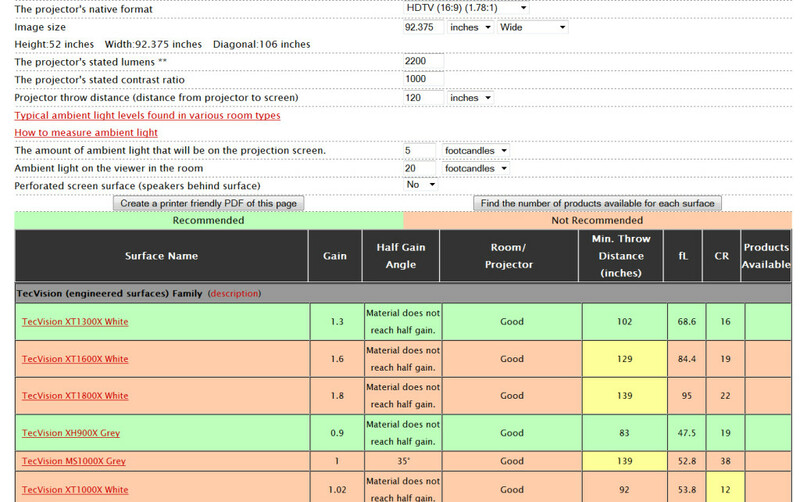 projector throw distance, and screen size. Draper’s calculator will immediately present you not only with the perfect viewing surface for your needs, but also the screen models available with that surface. If you are not accustomed to measuring the ambient light levels in a room, we suggest trying the Extech 401027 light meter available on Amazon.com for approximately $80. There are also apps available for download that, while not perfect, would suffice in a pinch. Try either the “Whitegoods Light Meter” or “LightMeter.” The weak link when using the apps is typically the camera. It lacks the spherical sensor that a true light meter would have. If using the apps, we recommend that you take three readings in every direction and then average those readings. Measuring the light is key to choosing the right screen surface, and this entire process adds value to your customers’ designs. We often get the question, “how do I compete with online retailers who sell at such a low price?” The answer is to add value! Offer more than a part number. This tool makes that easy. A projection screen might not be the “coolest” component of your design, but it is the one piece of equipment that is seen every time a system is used! Why not take the time to make sure you are offering the best solution possible?